Home / Store / Comics / Golden Age Comics / Mad #14 – G – August, 1954 – E.C. featuring Mona Lisa cover; Plastic Man and Mandrake the Magician parodies! 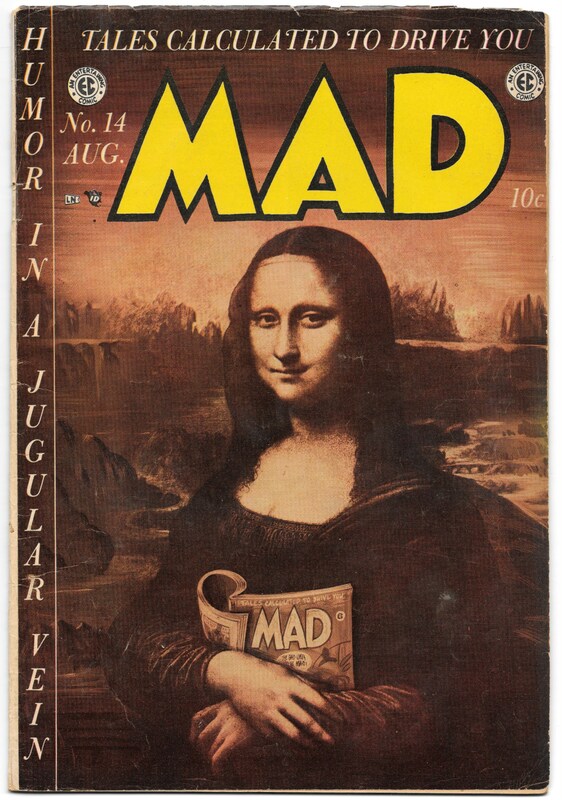 Mad #14 – G – August, 1954 – E.C. featuring Mona Lisa cover; Plastic Man and Mandrake the Magician parodies! Painted cover is a parody of Leonardo Da Vinci’s Mona Lisa. “Manduck the Magician,” script by Harvey Kurtzman, art by Will Elder; Manduck is reduced to using his hypnotic spells to sell snake oil on the street, until he matches spells with Lamont Shadowskeedeeboomboom; Parody of the comic strip Mandrake the Magician. “Movie… Ads!”, script by Harvey Kurtzman, art by Wally Wood; The differences between scenes in a movie and the way the movies are advertised. E. C. Fan-Addict Club! ad. “The Countynental!”, script by Harvey Kurtzman, art by Jack Davis; Parody of a short-lived 1952 TV show, “The Continental.” “Plastic Sam!”, script by Harvey Kurtzman, art by Russ Heath; Plastic Sam meets an imitation who is a bank robber; Parody of Plastic Man (Quality, 1943 series). 36 pgs., full color. $0.10. Cover price $0.10. 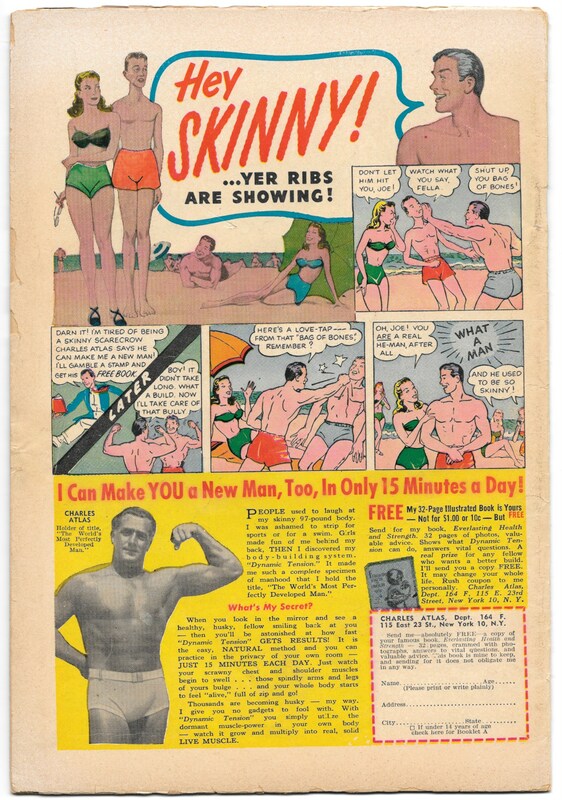 Li’l Abner Comics #68 (#8) – VG/F – January 1949 – featuring Fearless Fosdick and C.C. Beck art! Mad #10 – G+ – April, 1954 – E.C. featuring Wally Wood art and a Wonder Woman parody!